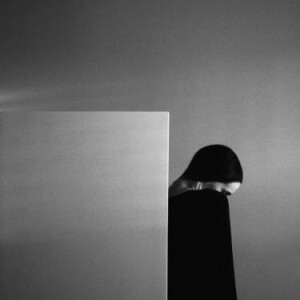 Noell Oszvald is an emerging Hungarian artist living in Budapest. 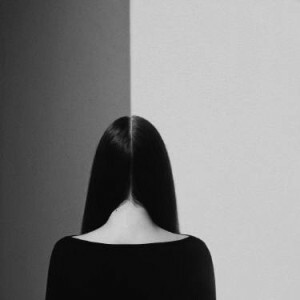 Noell reduces her striking black and white self portraits to explorations of pure composition and form with minimalist precision. She places equal emphasis on each of the composition’s elements, carefully balancing the human figure, shadows, and sharp, geometric forms. She begins her process with a series of sketches and geometric mock-ups and has recently begun experimenting with paper models. 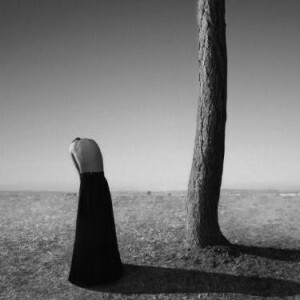 Influenced by films like those by Ingmar Bergman, the final photographs have a cinematic quality, at once surreal and calming. 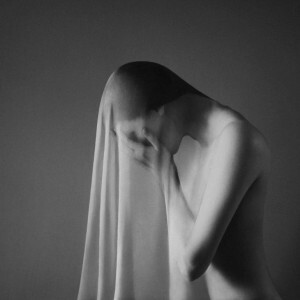 Noell was named one of Photo Boite’s 30 Under 30 Women Photographers in 2014. Her works have been featured in numerous publications including Lines Magazine, The Lab Magazine, Collossal, and Juxtapoz Magazine. What I try to achieve is to set up concepts using the human body as a base, while not making it the main focus of the picture. 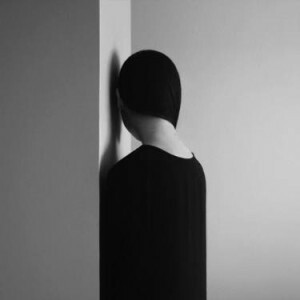 The result is a still image that is built around a person, but all parts of the whole are of the same importance. I reduce my pictures to content, composition, and form because this minimalist approach allows me to put equal emphasis on the idea behind the artwork and the entirety of the image. Portraying a sense of calmness with images that are built up based on geometric shapes is a recurring theme of my work. I had my doubts about creating art that doesn’t document reality, but is made up or in some cases even surreal, and a person on my page reassured me that art shouldn’t always try to capture real life or recreate something that already exists. I think it helped me try to find a way of making pictures that are imaginary, but still believable. I prefer not to work in perfect silence. I often have music or a video playing in the background, but what I listen to while creating doesn’t necessarily have any effect on the outcome, even if it has the ability to change my current mood. I’m the happiest when I’m in the production of a new artwork. I love the process, but my images are generally quite sombre. It would be a film, Smultronstället (Wild Strawberries) by Ingmar Bergman. The cinematography is breathtaking and moving. I wish I had a couple of still pictures from the movie hanging on my walls. Every frame feels like a work of art. You can find books from entirely different genres on my bookshelf. There’s not one in particular that I would pick over the others, and I haven’t found a favorite writer yet. I usually read multiple books simultaneously. Right now it’s Surely You’re Joking Mr. Feynman! by Ralph Leighton and Richard P. Feynman, and the other is The Master and Margarita by Mihail Bulgakov.